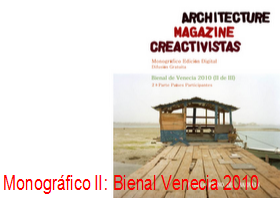 Venice, The International Jury of the 13th International Architecture Exhibition (Venice, Giardini and Arsenale, August 29th – November 25th 2012) has been appointed. The decision was made by the Board of Directors ofla Biennale di Venezia, chaired by Paolo Baratta, upon the recommendation of DirectorDavid Chipperfield. Alan Yentob (Great Britain), Creative Director of the BBC and Honorary Fellow of the Royal Institute of British Architects (RIBA). The President of the Jury will be nominated by its members at the first meeting. Silver Lion for a promising young architect in the International ExhibitionCommon Ground. Theawards ceremony will take place during the official opening of the Exhibition,Wednesday August 29th, 2012 – at 11 am at the Giardini of la Biennale. The exhibition will be open to the public from 10 am. Wiel Arets (1955) is a Dutch architect, theorist, urbanist, industrial designer and Professor of Building Planning and Design at the Berlin University of the Arts, UdK. He studied at the Technical University of Eindhoven, graduating in 1983, founded Wiel Arets Architects in the same year. From 1995-2002 he was the Dean of the Berlage Institute in Rotterdam, where he introduced the idea of 'progressive-research' and co-founded the school's architectural journal HUNCH. Kristin Feireiss (Berlin, Germany 1942) is ajournalist, curator, and founder of the Architecture Forum Aedes (Berlin) together with her partner Hans-Jürgen Commerell. Feireiss plays an important role in deepening debates on architecture and urban development in Germany, and thereby exerts a lasting influence on the awareness of the cultural and economic significance of this art form around the world. As director of the Netherlands Architecture Institute (NAi) from 1996 to 2001, she called greater attention to the transformative processes which have affected European and non-European cities beginning in 1989, and has carried out groundbreaking research in this area. She has received the German Bundesverdienstkreuz am Band (Cross of the Order of Merit, 2001) and the Wolfert van Borsel Medal in the Netherlands (2002). She has edited numerous monographs and thematic volumes in the international architectural context and has been active as a juror in many international competitions, including Beijing (2008), Master Plan for the Olympic Games (2002) and the Mariinsky Opera, St. Petersburg (2003). Since 2007 she was appointed as a member of the European Cultural Parliament. Robert A.M. Stern (1939), Dean of the Yale School of Architecture, is a practicing architect, teacher, and writer. Stern was the 2011 Driehaus Prize laureate and in 2008 received the tenth Vincent Scully Prize from the National Building Museum. In 2007, he received the Athena Award from the Congress for the New Urbanism and the Board of Directors' Honor from the Institute of Classical Architecture and Art. Stern has lectured extensively in the United States and abroad on both historical and contemporary topics in architecture. 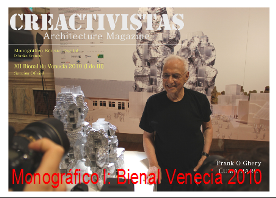 He was among the architects selected to represent the United States at the Venice Biennale in 1976, 1980, and 1996. Benedetta Tagliabue (Milan, Italy 1963) is an Italian architect, who lives and works in Barcelona. Graduate of the University of Venice (IUAV) in 1989, in 1991 she joined Enric Miralles’ studio where she subsequently became a partner. Recently she received the RIBA’s International Fellowships for her particular contribution as a non-UK architect she has made to architecture (2009) and an Honorary Doctor of Arts degree from Napier University (2004). In 2012 she has taught at Graduate School of Design Harvard University besides being a lecturer nearly once a month in architectural forums all over the world. Alan Yentob (1947) is the Creative Director of the BBC and editor and presenter of the award-winningImagine programme. He joined the BBC as a trainee in 1968, taking his first job in the World Service. In 1985, Yentob became Head of Music and Arts and subsequently Controller of BBC Two and of BBC One. He became Director of Programmes in 1997 and has been the BBC’s Creative Director since 2004. Yentob is an Honorary Fellow of the Royal Institute of British Architects (RIBA) and was a founding member of the Architecture Foundation, alongside Richard Rogers and Norman Foster. He is also Honorary Fellow of the Royal College of Art and of the British Film Institute. He holds honorary doctorates from the University of Leeds and De Montfort University.